The country offers some of the best ski facilities in the Southern Hemisphere. Numerous mountains provide spectacular sightseeing while skiing. Unlike Europe, Canada, Japan or USA, ski areas are quite small, they offer a real “authentic skiing experience”, far from Aspen (USA) or Courchevel (France). The ski season runs usually from mid June to late October. It, of course, depends on each area. Big commercial areas are opening the earliest using artificial snow systems. The best month to ski in New Zealand is definitely August. In New Zealand you will find two types of areas, commercial ski areas and club fields. Commercial areas offer world-class facilities, meaning big chair lifts, snow systems, perfect snow grooming, and comprehensive base and dining facilities. Club fields are usually way smaller and run by a group of enthusiasts. They have simple facilities, such as rope tow or T-bar lifts, generally no snow grooming, but good day lodges. Often, there’s more social atmosphere. New Zealand is equipped for all types of snow sport. Almost every one offers some kind of snow park. 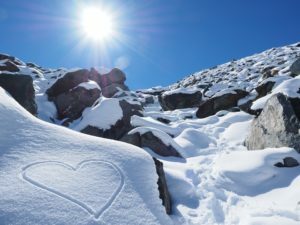 If you plan on spending the season skiing or snowboarding, there are 20+ areas in the South Island to enjoy and only three in the North Island. That said, the largest ski area in New Zealand is one of those in the North Island. To state the obvious, if you only have a week or two to go skiing, stay away from public and school holidays, as it can be a nightmare. Those small areas are not ready for the big crowds. Skiing in New Zealand is definitely a “must-do” down here! Check our list below to find the best spot to spend your winter season. This easy-to-read map gives you the basic information about each area and their websites to learn more. Trails are given as an overview of the difficulty of the area. In New Zealand trails are rated from green (easy) to black (you better know what you’re doing). Highest altitude refers to the highest peak of the area. Average snow depth is an average from the last few years, it does not mean that it will be the same next season. Skiable area is stated in hectares (ha). “Lift” includes chairlift, T-bars, platters, rope tows, and magic carpet. Basically, everything that gets you back up the mountain.